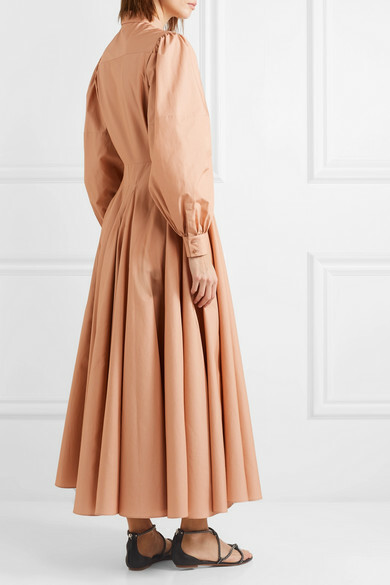 Azzedine Alaïa seldom used internal structures such as boning in petticoats in favor of creating volume by exploring the qualities of fabrics instead. 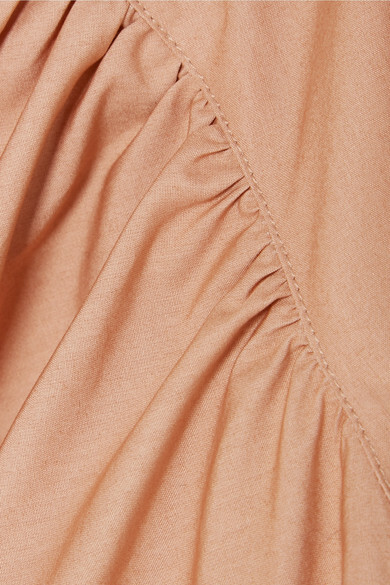 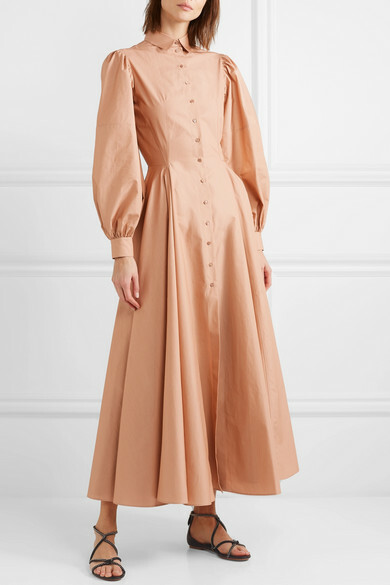 Inspired by his great legacy, this dress has been made in Italy from crisp beige cotton-poplin that holds the fullness created by pin tucking and pleats so perfectly. 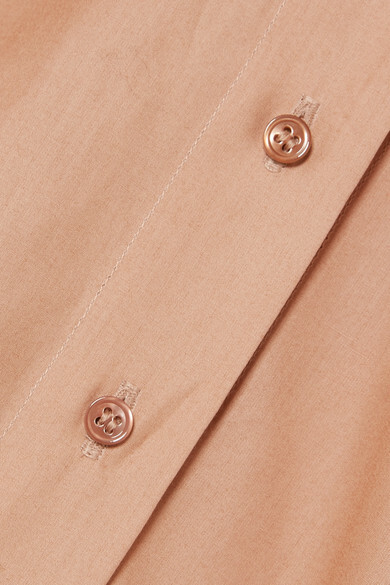 It's detailed with tonal pearlescent buttons for an elegant finish. 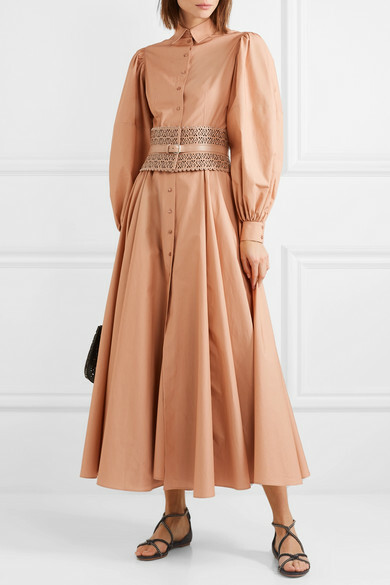 Shown here with: Alaïa Bucket bag, Alaïa Sandals, Alaïa Belt.